Simply Stunning! 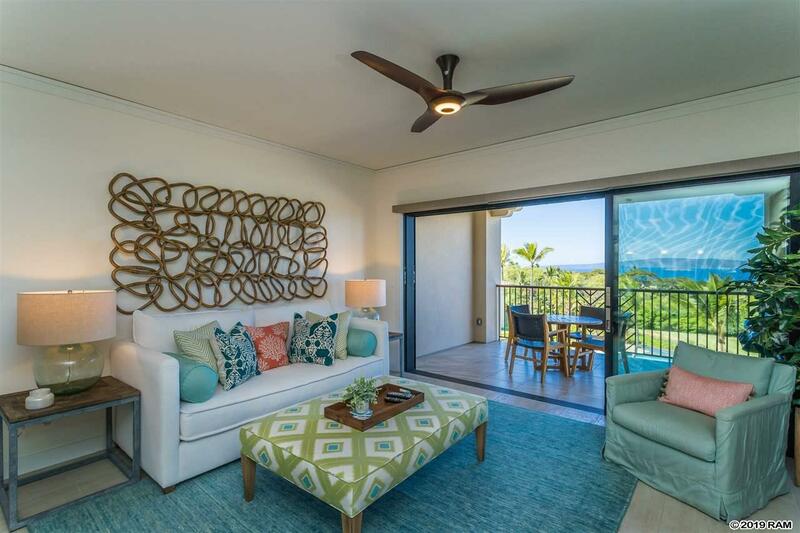 The view, the finishes and the furnishings pull this amazing unit together at Waileas newest residential complex, Keala O Wailea. 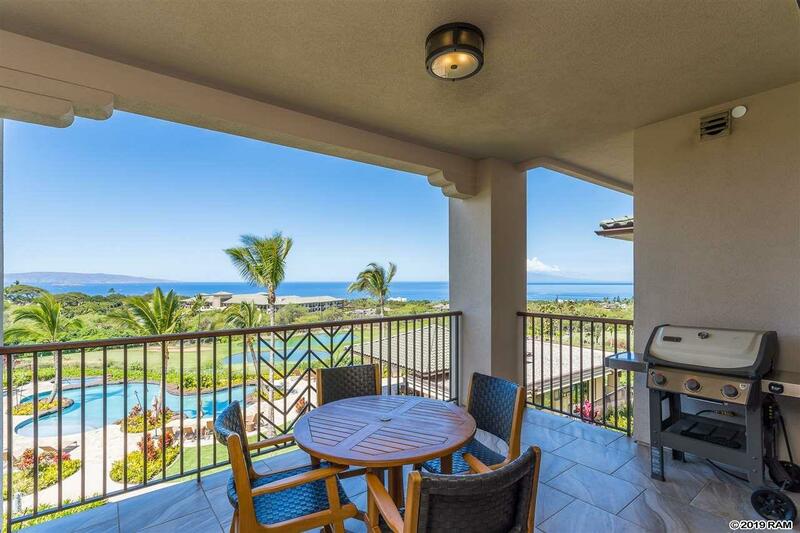 This gorgeous 2 bedroom / 2 bath unit is located on the second floor of the "Molokini Building " with Molokini and Kahoolawe centered in the view. 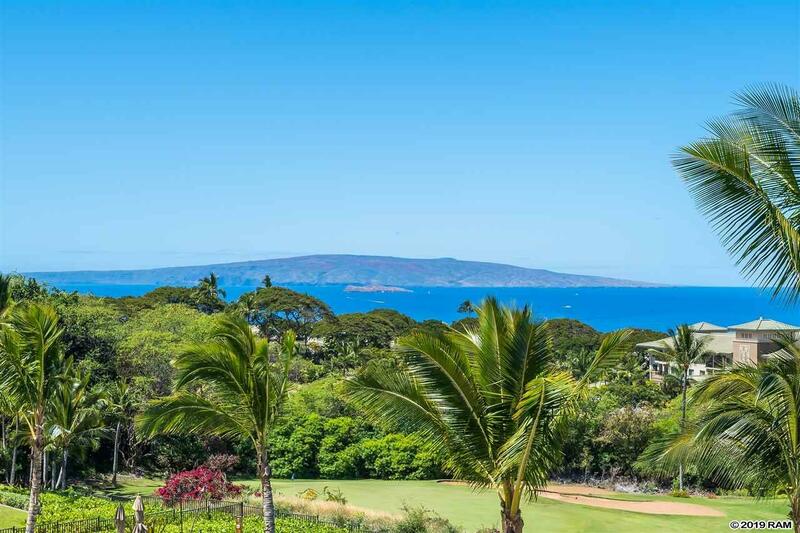 Keala O Wailea is located adjacent to the Gateway Shopping Center with restaurants in close proximity to the property and other Wailea amenities close by. The home is accessed by an elevator through a beautiful hardwood door to a light tile floor which covers the entry, living and dining areas. Granite counter tops add distinction to the kitchen and baths. All fixtures are upgraded along with the ceiling fans/lights which are remote controlled. Central AC is a must in this warm climate and the Bosch appliances with gas cooktops make cooking a delight. The shades are auto blinds and plantation shutters with coved ceilings. The unit is furnished with contemporary styles from HUE designs. All furnishings are included in the sale. There is one covered and one uncovered parking space with this unit. 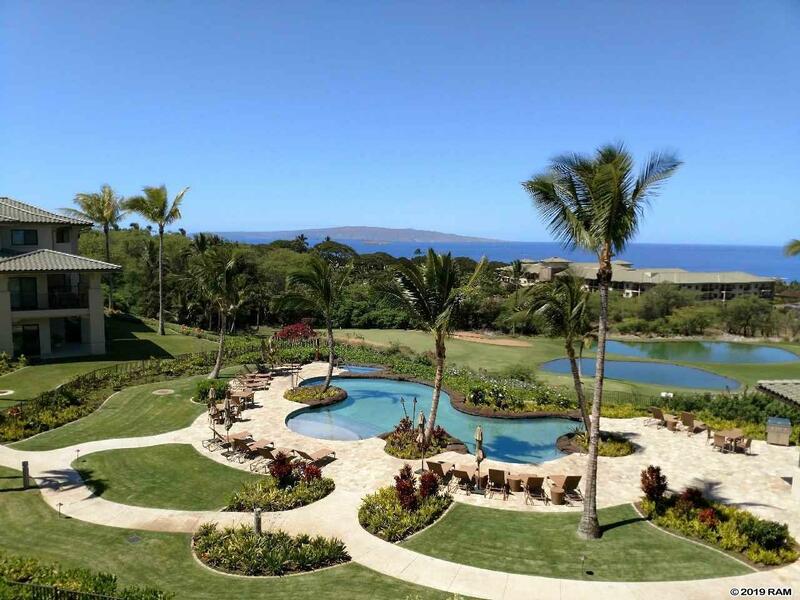 Keala O Wailea features a lovely pool area with a Jacuzzi, barbeques, an exercise room and an outdoor lanai for entertaining. This complex is pet friendly. Sell is subject to seller finding a suitable replacement property. Call to view this great property today!